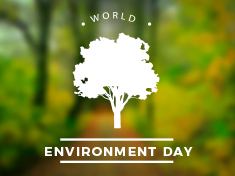 World Environment Day is celebrated around the world with the purpose of bringing about awareness on the need for conservation of the world around us. BYJU’S celebrated an entire week to spread awareness on the importance of recycling and reusing waste, spreading more greenery and restoring nature. 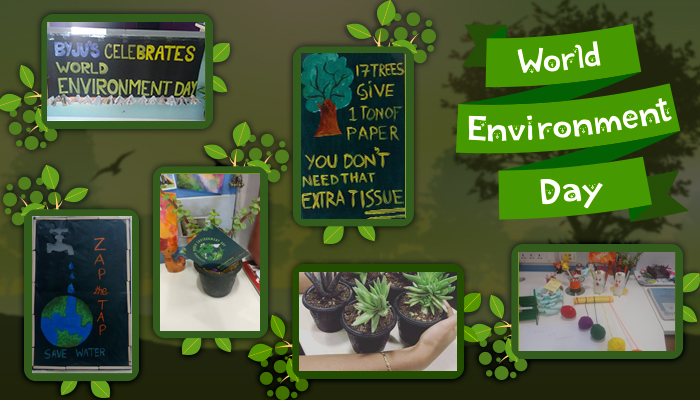 From hand-made posters and knick-knacks created from waste to potted plants at every desk, the week changed the entire office space into a greener and a more sustainable workplace. A special Reuse, Recycle and Recreate contest was held to encourage BYJUites to take up arms and fight against creating more waste. This contest saw some of the most creative artworks that were submitted, using waste materials in the most innovative ways possible. The end of the week treated all BYJUites to two back-to-back sessions of BBC Planet Earth screenings. The ever enthusiastic teams poured in large numbers for these screenings, admiring the efforts put into making these masterpieces, enjoying the typical theater snacks – pop-corn and coke. The week that panned from 5th June to 10th June was a memorable week for all and smiles and saplings were shared all around, along with some inspiring team collaborations.